Looking for a quick and savory weeknight meal? 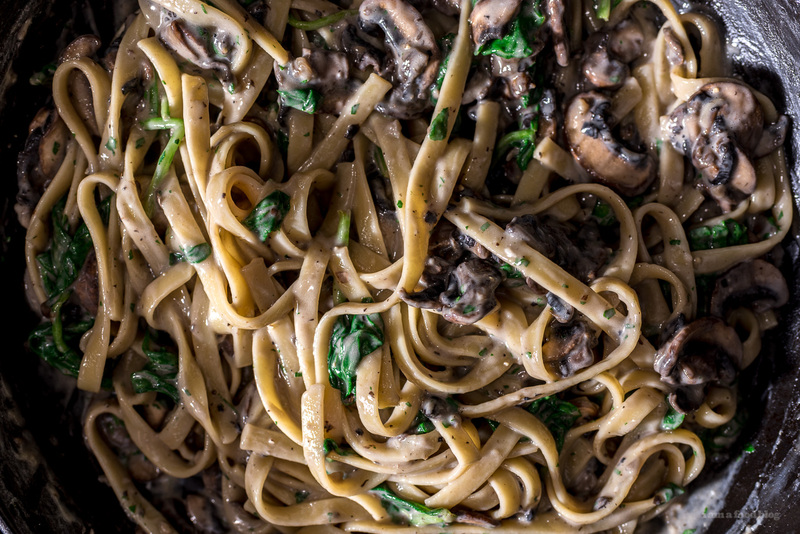 This creamy spinach and mushroom pasta comes together in just 20 minutes. Hello dinner! 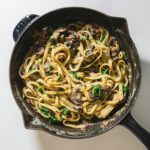 This creamy spinach and mushroom pasta always hits the spot when I’m craving something comforting and quick. I love it because the sauce comes together in the amount of time it takes to cook the pasta. 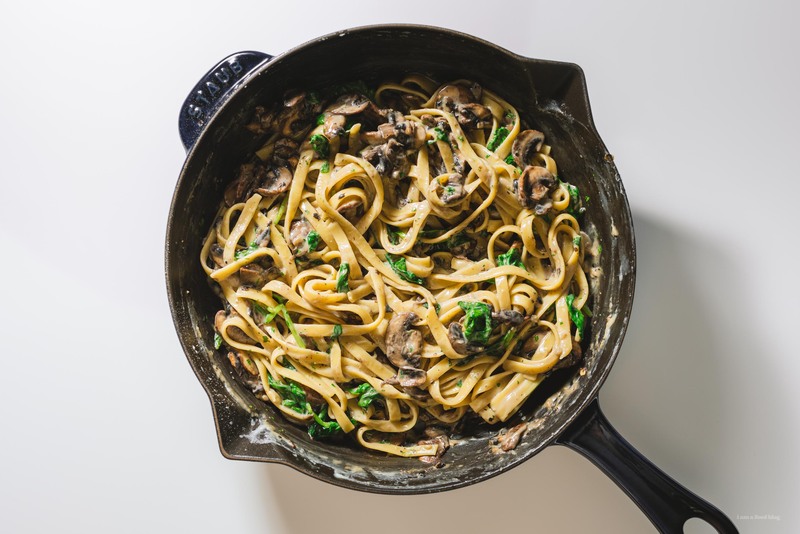 You can’t go wrong with butter, garlic, mushrooms and spinach! 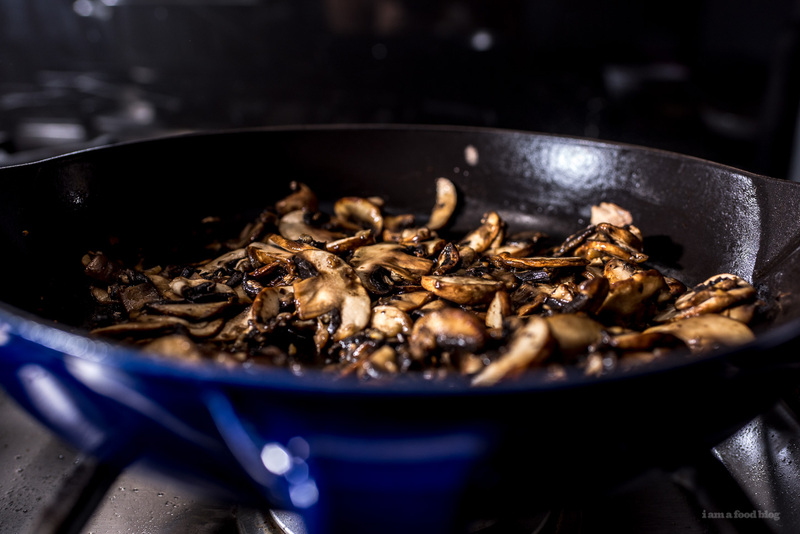 While it’s cooking, heat up the butter over medium high heat in a large skillet. Add the garlic and mushrooms and cook, until there is some color on the mushrooms, about 2-3 minutes. Sprinkle on flour and stir to incorporate. Slowly stream in milk while whisking. Bring to a simmer and stir, until the sauce thickens slightly. When the sauce is simmering, the pasta should be done cooking. Drain, reserving some pasta water. Add the pasta to the sauce and add the fresh spinach, tossing, to wilt. If needed, loosen up the sauce with some pasta water. Season with salt and pepper and enjoy! I have leftover steak and some fresh mushrooms and baby kale. Sounds like a plan.